Nashville, TN–It looks as if three times was indeed the charm for Christian recording artist Lauren Daigle, as she cleaned up the not one, not two but three Dove Awards during last week’s 47th Annual GMA Dove Awards. The sold-out annual event took place at Lipscomb University’s Allen Arena and was aired on the Trinity Broadcasting Network this past Sunday night (October 16th). Event hosts Tye Tribbett and King & Country, worked together like clockwork, even though it was their first time ever even meeting each other! “We are all one tonight, and that is love amplified,” says show co-host Tye Tribbett. “So the design of this whole thing is not celebrity…it’s to take this love story around the globe.” Adds fellow co-hosts KING and COUNTRY. 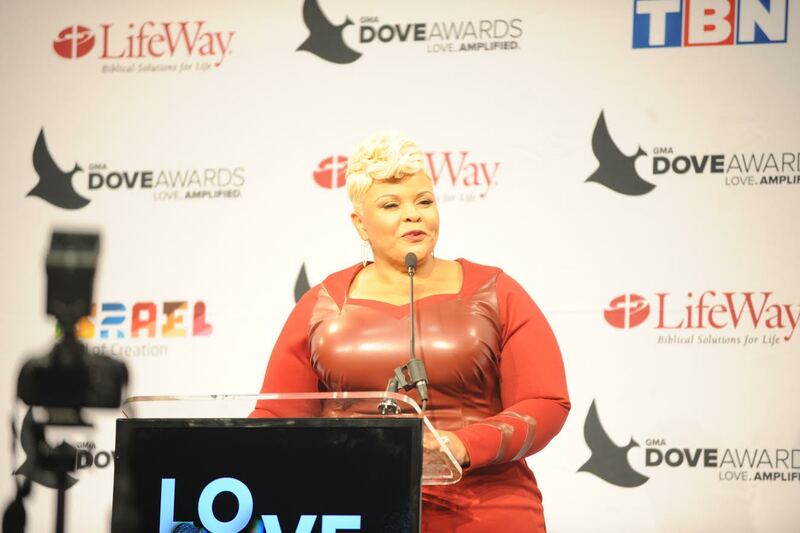 The night was filled with an abundance of performances from stand out names such as: Tamela Mann, Donnie McClurkin, Hillsong United, TobyMac, Some of the top winners for the evening included: Lauren Daigle for Artist of the Year, Songwriter of the Year, and Pop/Contemporary Recorded Song of the Year; TRADITIONAL GOSPEL ALBUM OF THE YEAR Everyday Jesus – Anthony Brown & group therapy; Kirk Franklin for Gospel Artist of the Year; King & Country for Contemporary Christian Artist of the Year.